The Just Postboxes economy range includes plastic letterboxes, powder coated metal mailboxes as well as stainless steel post boxes, all of which can be wall mounted or freestanding when fixed to one of our postbox stands. 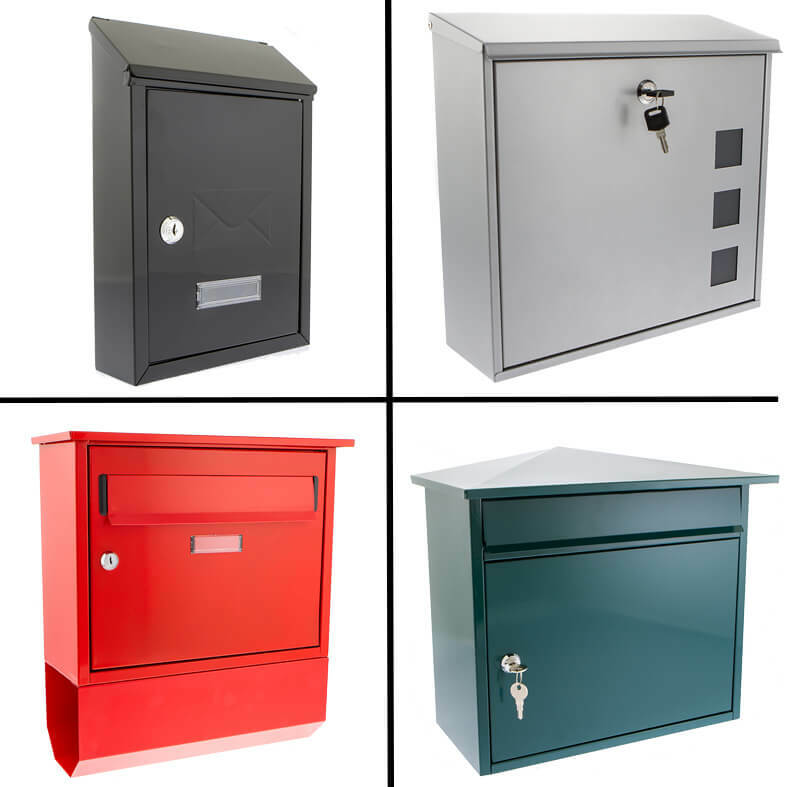 These mailboxes are available with many different configurations, including top opening, rear retrieval, secure locking and large capacity to name just a few and they provide the best value for customers who are working within a set budget. Most of our postboxes are held in stock and can be despatched for next-day delivery. 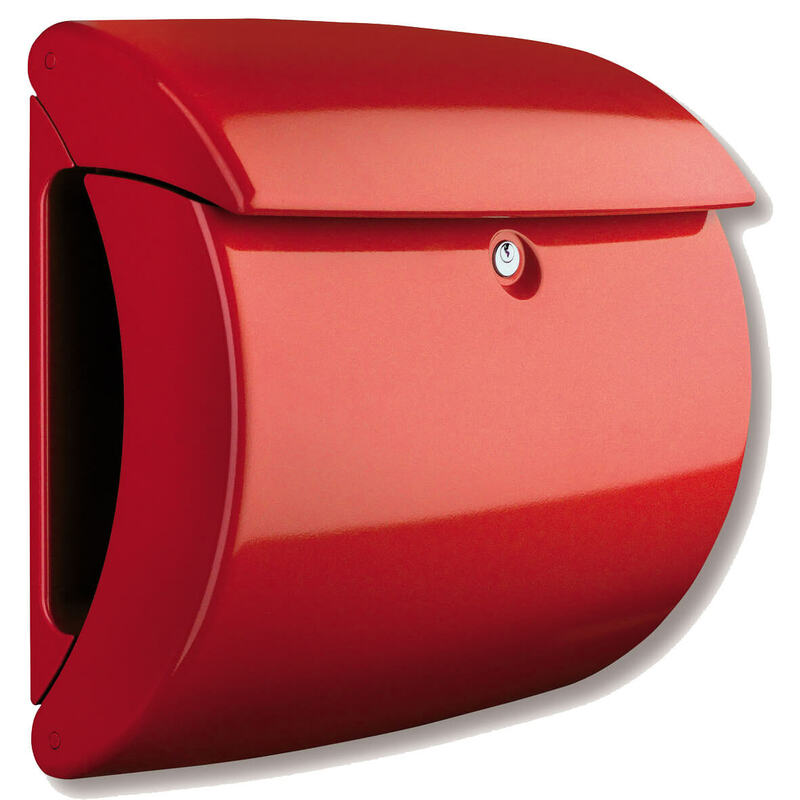 Just Postboxes stock a complete range of external rear retrieval mailboxes including plastic, metal and stainless steel options which can be mounted to the fence, gate or railings. Whether your requirement is top loading, large capacity, budget or just a particular colour you'd like, you're sure to find a rear access letterbox style to suit you. 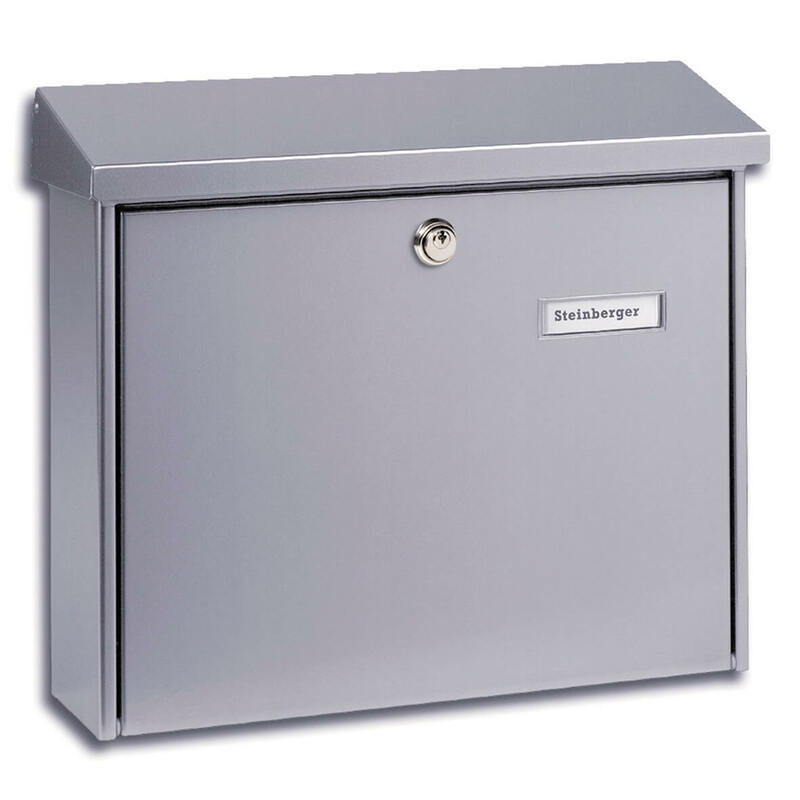 We stock some of the best postboxes from the UK and Europe from Suppliers such as Sterling, G2 and Burg Wachter - one of Germany's biggest manufacturers of letter boxes. The Burg Wachter free standing Jumbo postbox is high capacity and even suitable for one or two users as it has a removable shelf. 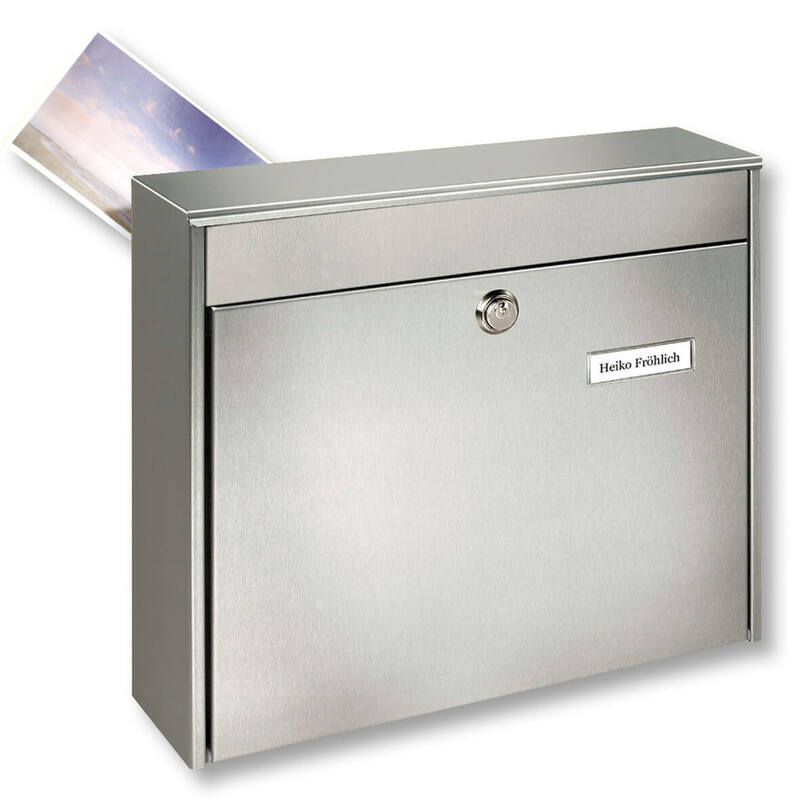 This mailboxes large capacity means it can be left for a period of time without worry, it also features the insertion format DIN C4 making it suitable for bigger envelopes. The Jumbo is highly secure and the galvanised coated steel material ensures it is extremely weatherproof making it perfect for the external environment. 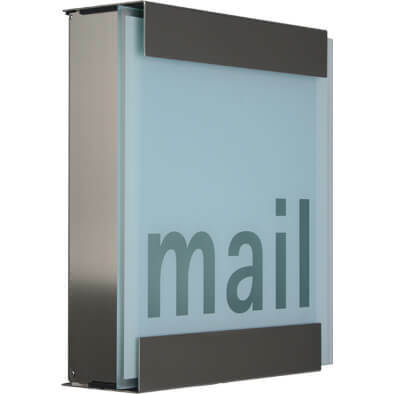 Just Postboxes stock a huge range of wall-moutable mailboxes, many of which have pre-drilled holes for quick and easy installation to your exterior wall. We have a range of letterbox sizes in modern, contemporary styles using materials such as metal, stainless steel and high quality plastic in every colour option whether its a standard black or a more unusual copper! We supply almost every variation from top-loading domestic boxes to modular banked units suitable for flats, housing complexes, schools and commercial use. 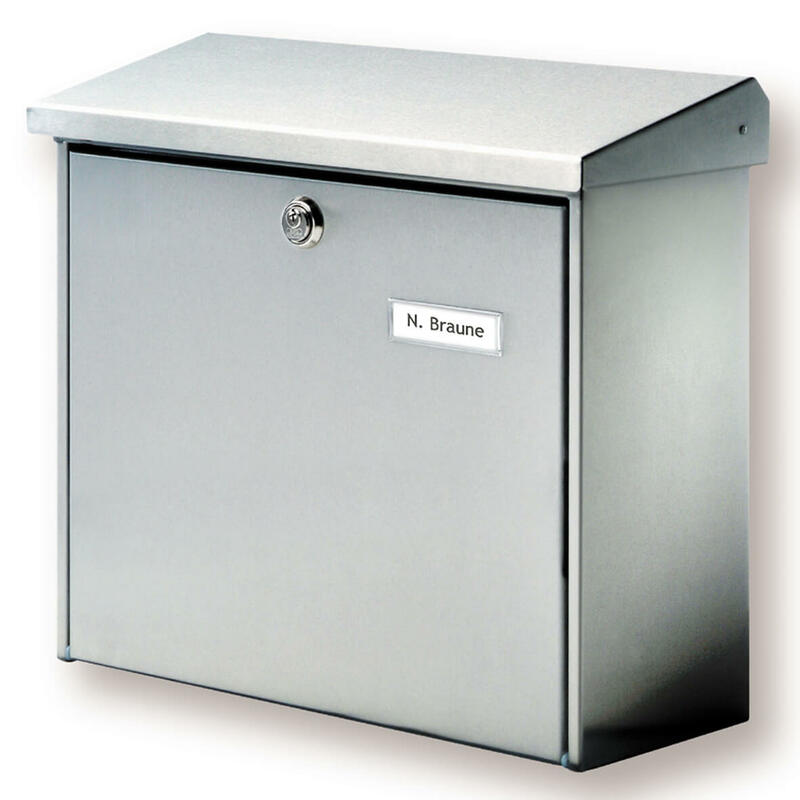 Top opening outdoor mail boxes include a letter slot beneath the roof flap to ensure letters are posted easily and remain protected from the weather. The choices for Top loading postboxes are vast and include wall-mounted, free-standing, large capacity and secure options to name but a few. Just Postboxes hold stock of letterboxes in most styles, materials and colours and have something to suit every customer whether you are a home owner requiring an individual unit or a commercial enterprise requiring a more complex solution. 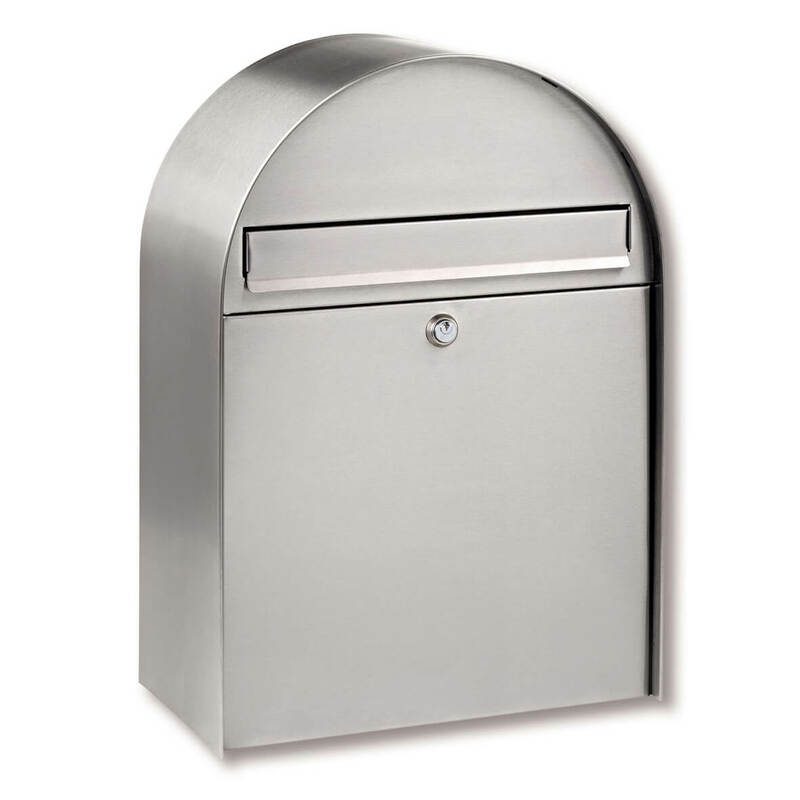 The Keilbach Glasnost Range are stainless steel, top loading mail boxes and can be wall mounted or free standing. They are extemely secure and suitable for outdoor use. Glasnost post boxes are both contemporary and unique in their design and have been constructed using high quality stainless steel. 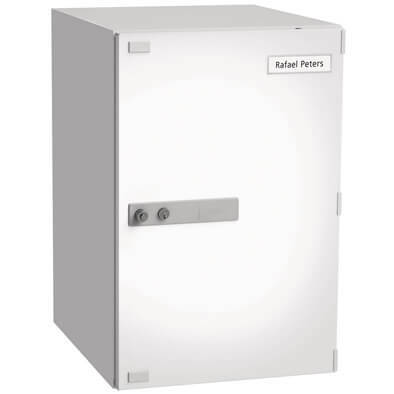 Keilbach postboxes are guaranteed to last and feature a slow closing letter flap and security lock. Mail boxes don't have to be boring, these exceptional letterboxes would look great on any domestic house or commercial building. Just Postboxes have an extensive range of commercial and domestic modular banked mail boxes. Our modular postboxes are suitable for many applications including schools, universities, housing associations and local councils and can be supplied as individual units or pre-assembled to a configuration of your choice. Some of our popular modular letterboxes are available directly from stock and can be delivered to site at short notice. The eBoxx from Burg Wachter is the latest design of parcel box available for the UK. This parcel delivery box is available in 6 different sizes and features an innovative “snap in” security lock, the door of the parcelbox is secured by a 3 point locking system. The whole box is manufactured from powder coated galvanised steel with laser welded seams and is completely corrosion resistant. The boxes are modular in design and can be banked together to make multi-unit parcel box/letterbox systems, there are also 2 stand options available with a concreting in free-standing unit option. 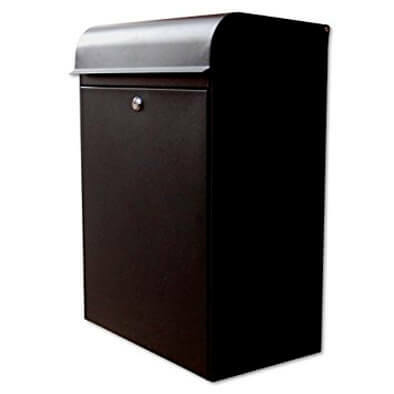 Just Post Boxes offer a selection of high impact plastic letter boxes and mail boxes. High quality plastic post boxes offer a modern rust free alternative to steel. The strong impact resistant material is highly corrosion resistant, making these post boxes ideal for coastal properties where salt corrosion can be an issue. These letter boxes are available in a range of contemporary designs and quality colour finishes to suit all tastes and properties. We offer some of the very best postboxes from the UK and Europe which includes the Sterling economy range of postboxes and Burg Wachter, one of Germany's biggest manufacturers of letter boxes. 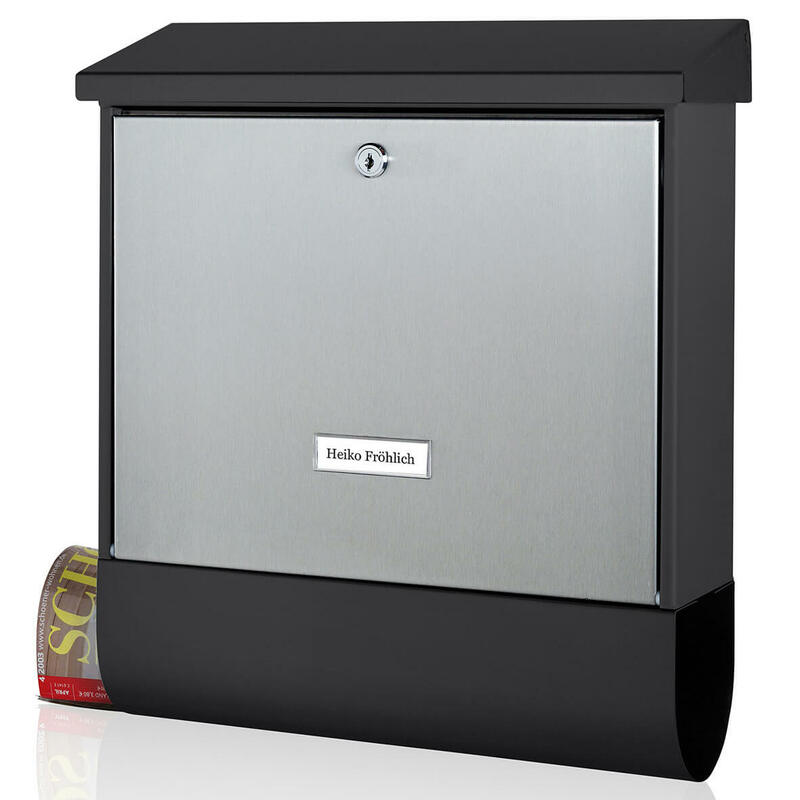 Just Postboxes have a superb range of high quality letterbox, mailbox and postbox accessories to complement their postboxes, they include: Keilbach & Burg Wachter Stainless Steel newspaper holders with a wooden, glass or stainless steel finish. Keilbach stainless steel mailbox stands can be used with any post box in the Glasnost range which can be mounted individually. 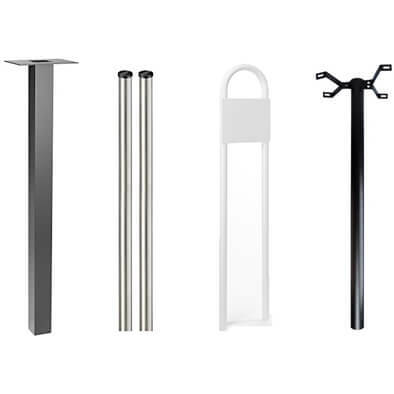 Burg Wachter accessories include a news box, post catcher or mail cage and universal stand. 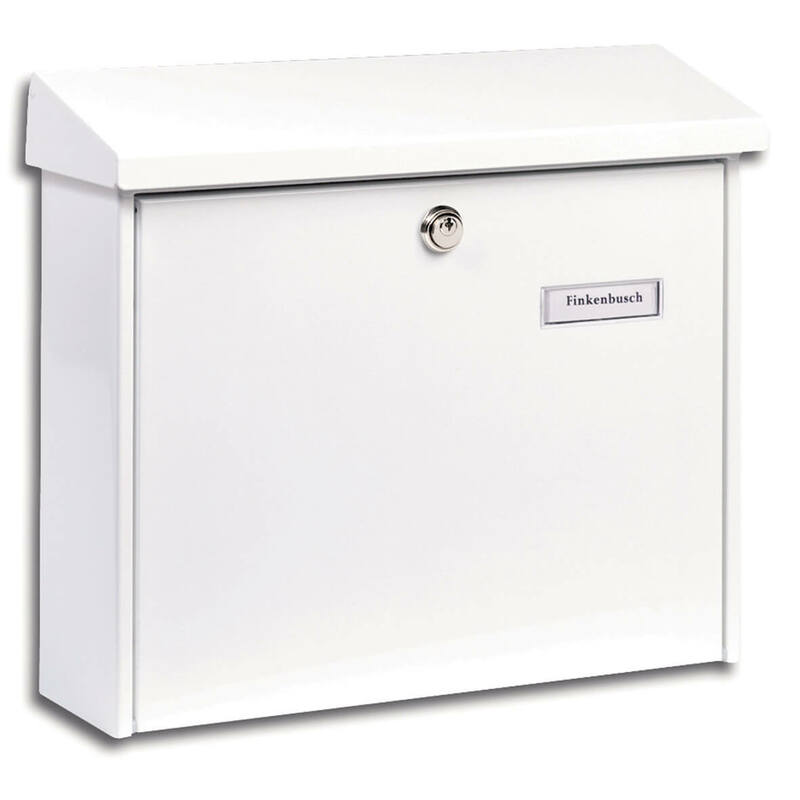 Big capacity mailboxes come in many different shapes and sizes, we offer secure large volume external post boxes from Burg Wachter, Sterling and Keilbach. Our large postbox range are weather resistant and secure, these boxes are ideal for people who are away from their property or business for an extended period of time or indeed for those that receive high volumes of mail. Extra large postboxes and parcel boxes are also more secure because the mail falls further away from the postal slot. 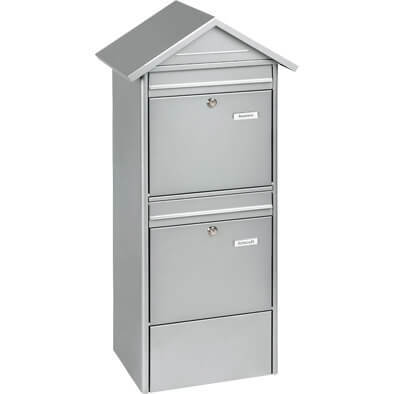 Just Postboxes have a complete range of external stainless steel postboxes, letterboxes and mailboxes. We stock exceptional quality, award winning Glasnost stainless steel postboxes with modern, contemporary style options to suit domestic or business properties. We sell individual door postboxes and modular option mailboxes that can be banked for use in situations when a multiple unit of postboxes is required - ideal for commercial use, apartments, flats, schools and universities. Letter box and newspaper holder sets are a convenient way to receive your mail and also your daily newspaper. 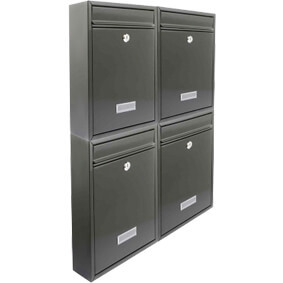 News boxes are also useful for receiving magazines and larger items of post, the newspaper holders in this range are of metal construction and extremely weather resistant. 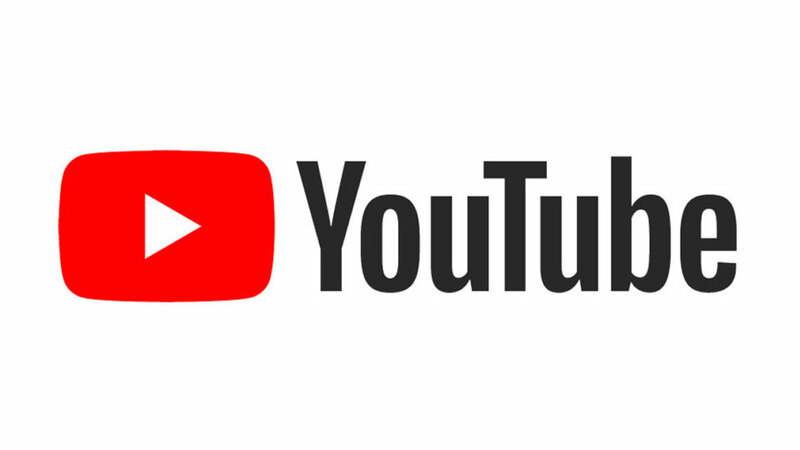 There are two configuration options available; either an intergarated section forming part of the mailbox or a seperate newspaper holder fitted below the postbox.